All buildings should be provided with a method of warning people in the building in the event of a fire and that need to be evacuated. The level of protection that your fire alarm system must meet should be listed within your written fire risk assessment. It is law that you must have an up to date fire risk assessment for businesses that employ more than 5 people. Most buildings provide a system of manual call points as a minimum requirement. 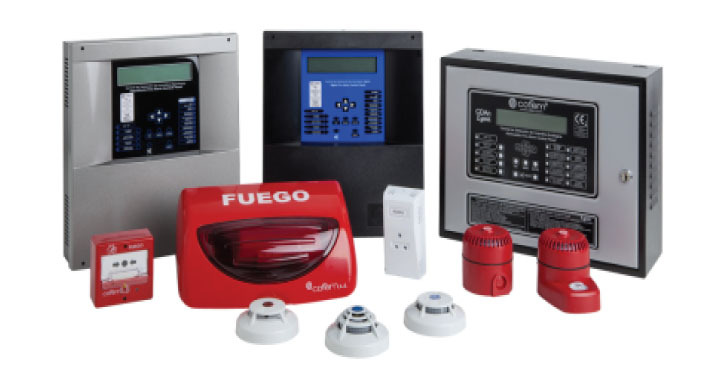 A conventional fire alarm system consists of a control panel linked to lines of detectors and manual call points, normally called ZONES, there is then separate sounder circuits are installed. The control panel drives detector & sounder circuits providing LED indications should a zone activate. Conventional panels either key or code has then the ability to silence or reset the sounder circuits. The panel powered by 240VAC mains voltage, there is then a battery backup installed in the event of a power failure. Conventional systems will have a series of Manual Call points, Smoke or Heat detectors or even Beams connected to them. When these activate an LED on the tripped device will illuminated. Sounder Circuits are cabled separately to detection and call point circuits. They also, where required, have strobe lights fitted. These would be installed in large factory areas or where people that are hard of hearing may Work. 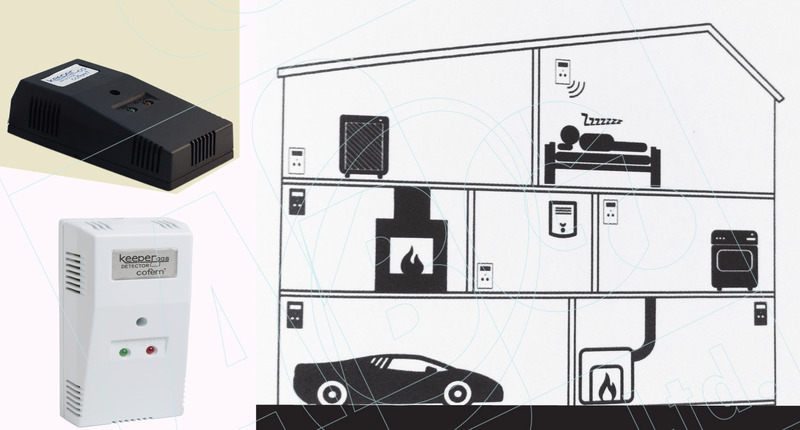 There are numerous benefits of addressable fire alarms. A panel installed in the building’s entrance will display exactly which devices hove activated, pointing to exactly where the fire or false alarm is. Addressable fire alarms are invaluable for large buildings or building campuses where a single control panel may service multiple alarm units. Addressable fire alarms also require less cabling than conventional fire alarms saving time and money. All of the devices installed as port of on addressable fire alarm system connect to a single cabling loop that runs through the entire premises. The main difference between the conventional and intelligent or addressable detection systems lies in that for the former the Voltage delivered by the transducer is compared with a predetermined and fixed threshold (V alarm), obtaining from that comparison the system in standby or system in alarm status. In the addressable Detection System, on the contrary, the control panel gathers the readings from each sensor and determines the status thereof according to these readings, any previous readings (history), the preprogrammed parameters and on the decision algorithm, being possible to act on the detection parameters, as well as, for example, the alarm threshold. Each sensor on the addressable Detection System transmits its analogue value to the control panel with a regularity of less than 10 seconds. 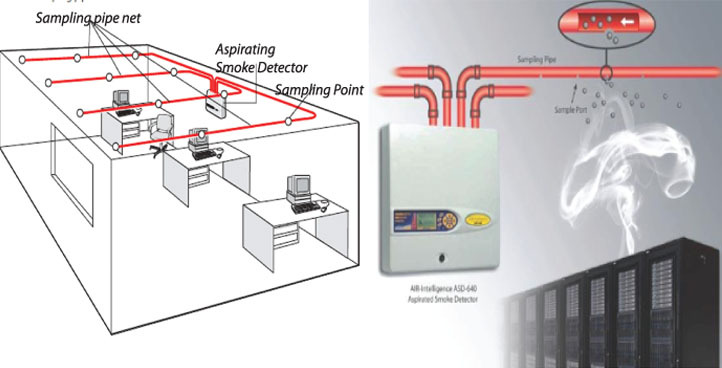 Aspirating or Air sampling systems continuously samples air providing the earliest possible warning of an impending fire hazard. Aspirating smoke detectors provide critical time needed to investigate an alarm condition. 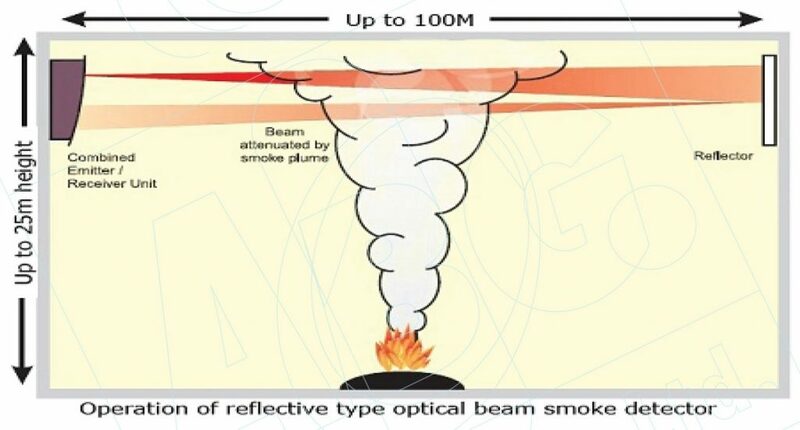 Detectors have multi-level warnings and a wide range of sensitivity that does not degrade or change over time, so even small levels of smoke can be detected before a fire has time to escalate. Range of gas detectors for domestic, autonomous, with possibility of connection to the supply (220-230V) or 12VDC, with operating indicator, that emits an optical and acoustic signal in case of alarm.GAS keeper is made of grey ABS plastic to detect natural gas, methane, propane and butane. The gas leaks or shut-off flame in a boiler rooms, kitchens, living areas with gas stoves or heaters, etc, can cause a high concentration of combustible gases, with the danger of explosion that it entails.